Corinna Lotz reflects on the life of Pierre Lambert, a leader in the French workers’ movement, who died recently in Paris. 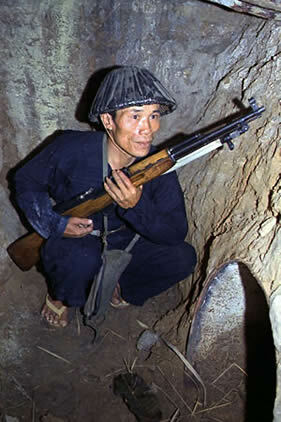 Forty years ago, the North Vietnamese army and the National Liberation Front launched what became known as the Tet offensive against the United States forces occupying their country. The NLF’s attacks on the capital Saigon and former capital Hué by a people’s army taking on the world’s most powerful military might sparked off a year of revolutionary events around the world. A few months later, Czech Communist Party leader Alexander Dubček ushered in a reform programme, which led to the “Prague Spring” in which unarmed youth faced Soviet troops on the streets of Prague. In France, conflicts between students, workers and the police sparked a general strike in May-June, which led to the occupation of most of the country’s factories. 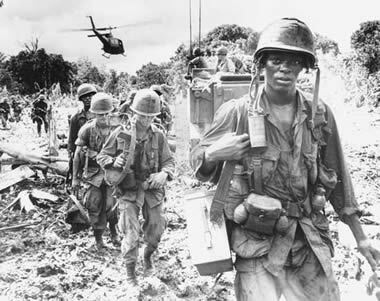 That year, countless young people were inspired by the amazing sacrifice of the Vietnamese people. Then, just across the channel, the mass demonstrations in Paris enabled us to envisage for the first time the real possibility of workers, students and ordinary people overturning the capitalist state machine and bringing into being a new era of history. Today, as a global economic slump looms and world leaders stand helpless, we move into a new and unknown period of history, in which mass upheavals of many kinds will certainly take place. This new crisis is the background to the passing of Pierre Lambert, whose death was announced on January 16 by the Parti des Travailleurs (Workers Party). He was part of a generation of leaders who reached political maturity in the 1930s and 1940s – the years of global slump, revolutions in Spain and China - and world war. The early years of Lambert’s life demonstrate the courage, determination and resourcefulness of revolutionaries who opposed Stalinism when it was a truly dangerous and difficult act of defiance – before, during and just after World War II. There were other people like him in various countries who held fast to the achievements and principles of the Russian Revolution of 1917 despite its degeneration under the Stalinist leaders who eventually took control. Lambert was born Pierre Boussel in Paris in 1920 into a Jewish family which had emigrated from Russia, fleeing the Tsar’s pogroms at the turn of the century. At the age of 14, he joined the Communist Party of France only to be expelled a year later for opposing the pact between France and the Soviet Union. Russian revolutionary leader Leon Trotsky’s opposition to Stalin inspired Lambert. Trotsky had been forced out of Soviet Union by Stalin and into exile in 1929, making a two-year sojourn in France between 1933 and 1935, before being forced to leave. His presence had strengthened the left opposition in the French Communist Party, including a strong tendency within artistic movements like Surrealism. Lambert joined the left socialist party led by Marceau Pivert but was expelled in 1939 along with other pro-Trotsky militants. In February 1940 he was arrested by the police due to his “anti-war defeatism” and sentenced to three years in prison. However, when France capitulated to the Nazis, he managed to escape and return to Paris under the occupation. In December 1943, he joined the le Parti Ouvrier Internationaliste (POI) which organised clandestine trade unions. It was the only political party to seek fraternisation with German troops against the Vichy government and the Nazi occupiers. A number of German and French Trotskyists paid for their courage with their lives. Some became victims of the Gestapo. Others were taken to concentration camps. Still others in the POI joined the maqui resistance forces. Between 1943 and 1944 Lambert helped to unite French Trotskyists in the Parti Communist Internationaliste (PCI), which now became the French section of the Fourth International, which had been created in 1938 in place of the discredited Third International by then under Stalinist control. The PCI’s opposition to the wartime alliances between Stalin, Britain and France and the agreement between the French Stalinists and General De Gaulle earned it attacks by the French Communist Party, which denounced them as “hitléro-trotskyist”. Despite this, the Trotskyists became a growing force, especially in the Paris industrial suburbs. The end of the war brought a deep crisis in the Fourth International. 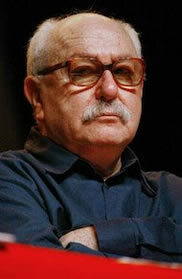 Michel (Raptis) Pablo and his supporters saw capitalism and Stalinism as enduring indefinitely. The American Socialist Workers Party under James P. Cannon opposed this outlook and fought to uphold revolutionary perspectives. Under Pablo’s leadership, the French section was ordered to join the Communist Party. Those such as Lambert, who opposed this capitulation to Stalinism, were promptly expelled. In 1953 Lambert’s group, which came to be called the Organisation Communiste Internationaliste (OCI), joined with the British, New Zealand and Swiss sections to break from Pabloism and support the American Socialist Workers Party’s restatement of revolutionary Trotskyist principles – the Open Letter of November 16, 1953. In a historic move, the five organisations formed the International Committee of the Fourth International and British leader Gerry Healy was appointed secretary. As leader of the French section, Lambert took part in the Third Congress of the International Committee of the Fourth International, which was held in London in April 1966. But the May-June events of 1968 were to take Lambert and the OCI by surprise. They limited themselves to trade union demands for a co-ordinated strike committee but refused to demand that the French Communist Party and Socialist Party take over from De Gaulle, placing the question of state power at the heart of things. When the French state was able to regain control, it banned many left-wing organisations, including the OCI. By 1971, the OCI, now the largest section in the International with a youth movement numbering thousands, organised a mass rally in Essen, a major industrial town in West Germany. I was part of a delegation from the British Young Socialists who travelled to the youth rally in Essen that year. At a crowded and tense meeting before the main rally took place, the OCI delegates joined with all kinds of unknown organisations to vote down an amendment proposed by the Young Socialists which insisted that revolutionary youth had to take on the task of developing Marxist theory, without which “there can be no revolutionary party”. Simply following the Transitional Programme set out by Trotsky in 1939 was worse than useless. Marxist theory had to be constantly developed, and not be made into a set of empty, dogmatic phrases. The Essen rally itself was massive, with workers arriving in droves from factories in France. But the numbers were illusory, giving an appearance of strength when in fact there was no revolutionary leadership on offer. The OCI’s opposition to the Young Socialists’ amendment was a fundamental split with revolutionary politics, marking Lambert’s break with the International Committee after 18 years of collaboration. Within a few years of Essen, the OCI was caught red-handed conspiring with ex-members of the British section to discredit the newly-formed Workers Revolutionary Party. The OCI leadership over the next decades was marked by dogmatic adherence to the Programme of the Fourth International whilst in practice making unprincipled compromises with the Revolutionary Workers Party (POR) in Bolivia and other Latin American organisations as well as the reformist Socialist Party of France. Long-standing members of the OCI, such as Lionel Jospin joined the Socialist Party and became supporters of Francois Mitterand. Jospin became prime minister in 1997, carrying out public spending cuts which opened the door to a right-wing government. Lambert had long ago completely abandoned even the semblance of revolutionary politics, calling for a vote for German SPD leader Gerhard Schroeder in three elections. Lambert’s new organisation, the Parti Travailliste (PT) founded in 1991, supported Luiz Lula in the Brazilian elections of 2002 and even in 2006, when Lula switched from left populism to Blairite subservience to the global corporations. This year also marks the 50th anniversary of Lambert’s weekly newspaper, Informations Ouvrières. In commemoration of Lambert’s long history it published a special edition, including a chronology of his life and work. A reminiscence by PT Secretary Daniel Gluckstein refers to the events of May-June 1968, but not the possibility that the Gaullist state could have been overthrown at that time. There is no mention of the OCI’s split with the International Committee in 1971. Seemingly oblivious to the collapse of the Stalinist bureaucracies during the 1990s, Lambert “re-proclaimed” the Fourth International in 1993. 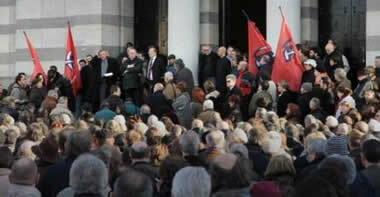 Pierre Lambert’s funeral took place in the Pere Lachaise cemetery in Paris on January 25. It was attended by a large crowd who marked the occasion by singing the Internationale. The cemetery has a special place in French working class history because it was here that 147 Communards were executed at the end of the Paris Commune of 1870. Like the Commune, the history of those like Lambert who took part in the Trotskyist movement holds many crucial lessons for us today. Mass movements often arise when people least believe they are coming. Being prepared for such change is absolutely vital for a revolutionary transformation to succeed. Preparation has to focus on the constant development of our theories and analysis. That provides the basis for the confidence to place the struggle for state power at the centre of our perspective. Anything less is certain to lead to unprincipled compromises with labour bureaucracies and/or the capitalist state, which Lambert’s eventual political degeneration shows.